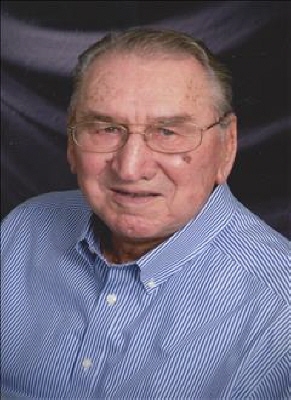 Funeral service for long time Seminole County resident and Public School Educator is Scheduled for Wednesday March 27, 2019 at 10:00 a.m. at Stout-Phillips Funeral Home Chapel with Charlie Bailey officiating. Sam passed away Friday, March 22nd, 2019 in Muskogee Veterans Hospital. Samuel George Barnes was born to George Washington Barnes and Effie Jane Melton Barnes in Stratford, Oklahoma on July 22nd, 1925. Sam graduated from Checotah High School , attended Conner State and Austin College and later graduated from East Central University where he received his Master of Education degree. Sam married Betty Christine Herring May 13, 1947 in Wewoka, Oklahoma. During Sam's career in education he was Principal and coach of New Model School from 1951 to 1967, Elementary Principal in Wewoka from 1967 to 1971, high school Principal, basketball, baseball coach and math teacher at New Lima from 1972 to 1975, Wewoka High School Principal from 1975 to 1978, Two years in Alaska as an educator and retiring as Sasakwa Schools Superintendent in 1986. Sam was a member of Eufaula Church of Christ and Lions Club International. Sam enjoyed sports, fishing and quail hunting. Sam was in the Navy during WWII and served in the Pacific Theater as a Radioman on a Troop transport ship. His Ship transported marines from Pearl Harbor to Iwo Jima. Later his ship became a Hospital Ship. Sam was honorably discharged January of 1946. Survivors include his children; Janet and husband Roger Whelan of Eufaula, Steve and wife Annette Barnes of Wewoka, Son-In-Law; Don Glasco of Coalgate, grandchildren; Chris and wife Diane Whelan, Renee and husband Joe LaValley, Michael and wife Suzie Glasco, Misty and husband Justin Smith, Bailey and husband Kevin Tattersall, nine great grandchildren, sister; Maureen Barnes of Mesa, Arizona and numerous other relatives and friends. Pallbearers are Carl Barkhimer, Tony Keefer, Gavin LaValley, Matt Whelan, Ausin Glasco and Andrew Glasco. Honorary Pallbearers are Art Garner, L.B. Garfield, Gary LaValley, Earl Anderson, James Orsburn, Hubert Gawf, and Al Roberts. The family will greet quest for visitation Monday March 25, 2019 from 6:00 P.M. to 8:00 P.M. at Stout-Phillips Funeral Home Chapel. To send flowers or a remembrance gift to the family of Samuel George Barnes, please visit our Tribute Store. "Email Address" would like to share the life celebration of Samuel George Barnes. Click on the "link" to go to share a favorite memory or leave a condolence message for the family.